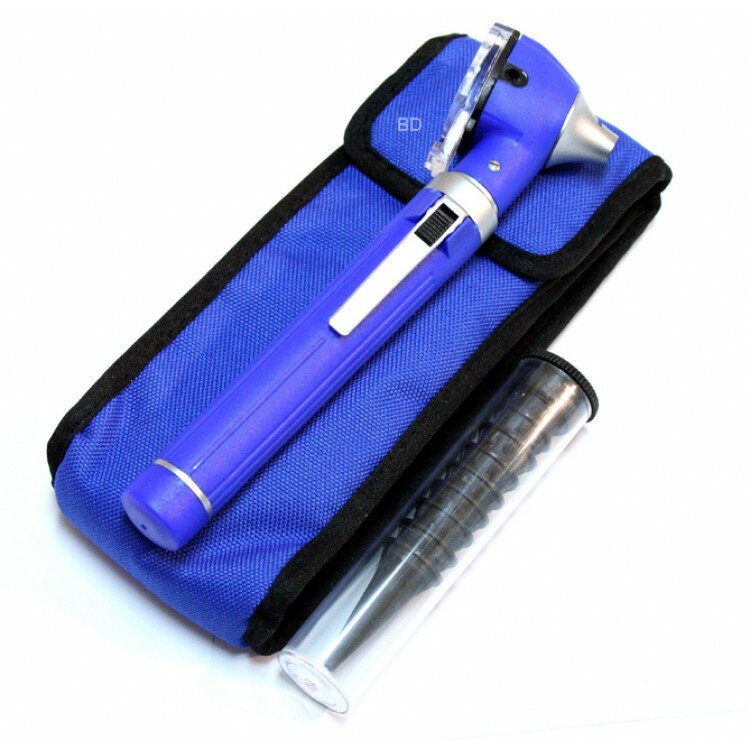 Introducing MEGMEDIUS’s first pocket-size LED diagnostic set This mini fiber option pocket otoscope is an ENT diagnostic instrument intended for medical use. Complete with 10 disposable plastic specula, fiber optic design and this unit is powered by two AA batteries Product Features Excellent quality X4 magnification lens Pocket Clip Canvas Pouch 2.5v halogen light with long life bulb gives bright and cool light. 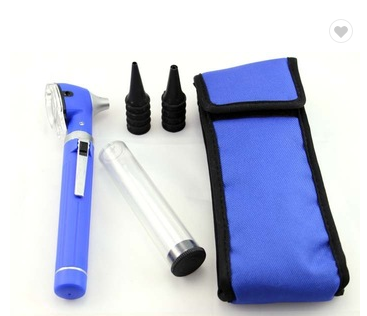 PLASTIC BODY MINI FIBER OPTIC OTOSCOPE, 10 PCS. ADDITIONAL DISPOSABLE SPECULA OF 1.5mm & 4 mm SUPPLIED IN SOFT POUCH.